Hour Weddings had the pleasure of organising Maxine and Elliots wedding at the Khaima, The Rock Hotel, Gibraltar. Hour Weddings has previously organised at this venue, but we think we outdid ourselves this time! One hundred and fifty guests attended the wedding. Maxine had a very clear idea of what she wanted for her winter wedding. 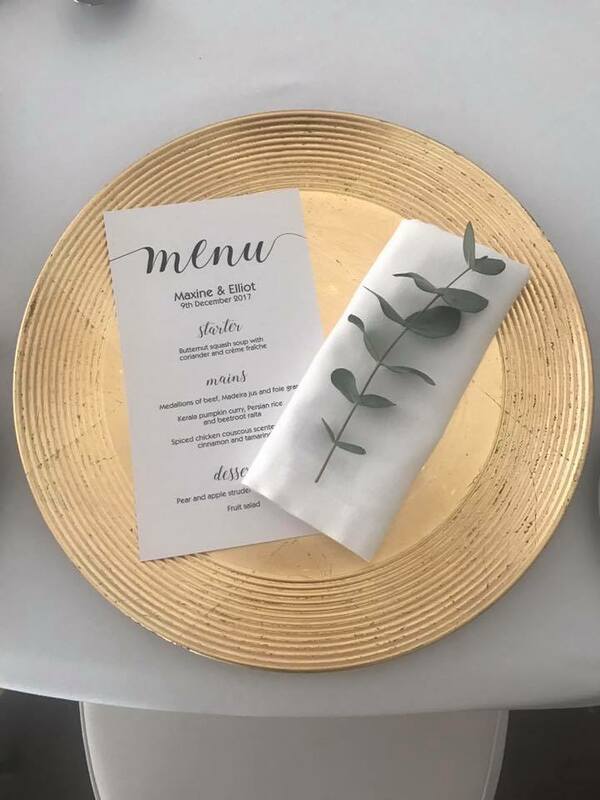 We met with her months before her wedding and she showed us pictures from Pinterest and Instagram of what she had in mind. Bea, our stylist worked with Maxine to ensure her day fit in with her colour scheme, green &gold. 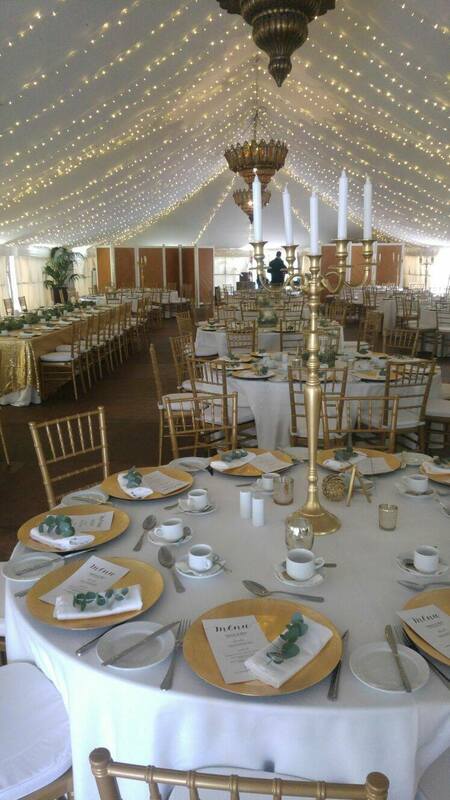 She chose gold sequinned table cloths and gold candelabras and fairy lights. Hour Weddings employs some great set up staff. They started setting up the day before, laying out all charger plates, chairs, tables and table decor. Maxine also wanted a sweet buffet which was set up next to her wedding cake & we placed fairy lights and outdoor decoration outside the Khaima too. The morning of the wedding, we laid out fresh flowers and leaves, just like Maxine wanted. The Khaima is a great place for a wedding, a blank canvas which can easily be modified to your tastes and personal style. It is one of the largest wedding venues Gibraltar has to offer. Her and her 150 guests made their way to the Rock Hotel, where there was a cocktail hour for her guests. They then proceeded to the Khaima for dinner. Her guests enjoyed a three course meal followed by some yummy wedding cake and danced the night away!